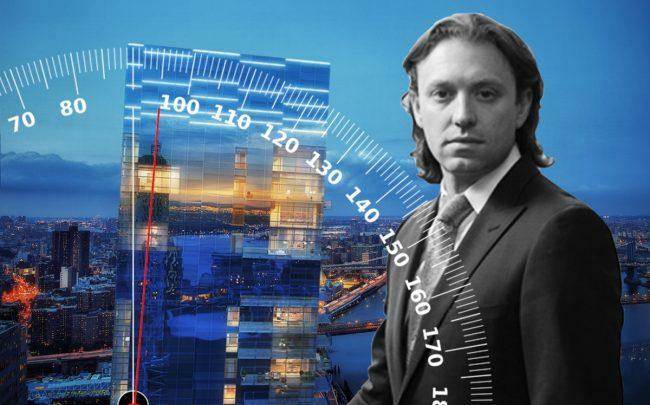 Fortis Property Group’s long-delayed Seaport condominium project has another problem on its hands – it is “leaning” three inches to the north. Pizzarotti, the general contractor for the 58-story development at 161 Maiden Lane, says the developer is to blame, Commercial Observer reported. In a lawsuit filed with New York County Supreme Court last month, the company alleges that foundation work done by a previous contractor, which used a cheaper “soil improvement” method to cut costs, is now causing problems with the building’s structural integrity, facade, waterproofing and elevators. Fortis denies these allegations. “This lawsuit is patently false from start to finish and nothing more than simple defamation and a desperate attempt by a failing general contractor to divert attention from the fact it defaulted on yet another New York City project,” a Fortis spokesperson said in a statement to The Real Deal. Though the contractor says it gave notice that it would terminate its construction contract on March 1, the developer claims Pizzarotti remained on site throughout the month of March, and that it was in fact Fortis that sent Pizzarotti a notice of termination last week, before it had even learned of the lawsuit. The Seaport tower was Italy-based Pizzarotti’s first luxury tower of this size in the United States, though the company is also partnering with Madison Equities on nearby 45 Broad Street. The Seaport project has faced numerous delays, largely related to the pouring of concrete slabs for the floors, which Fortis says contributed to the alignment problems. Pizzarotti replaced the concrete subcontractor SCC Concrete last year, after a worker fell to his death from the 29th floor. Pizzarotti tapped RC Structures to take over concrete work, and that firm reported that there are “structural issues” causing the building to lean three inches to the north, according to the complaint.